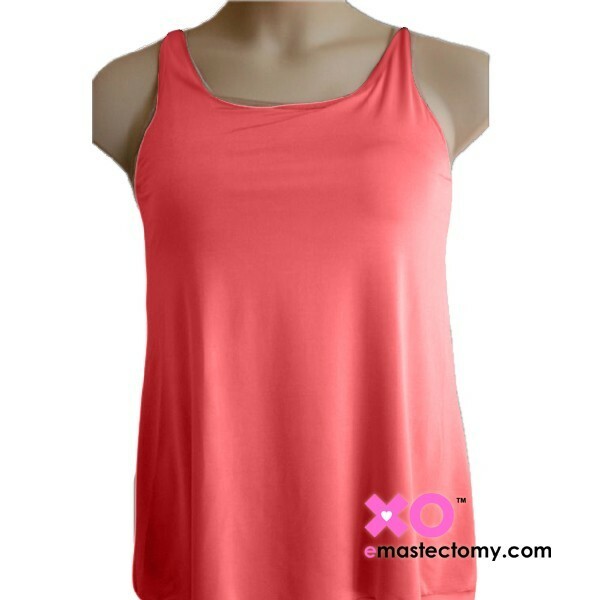 LuisaLuisa Mastectomy Tank Top with built in pocketed bra. Trendy and comfortable! The slightly A-Line shaped, hip long Tank Top with 5" slits on the side seam and a fully lined pocketed mastectomby bra will be your new "GO To". Made from silky and smooth Nylon/Lycra fabric is not only fashionable but also comfortable and secure for any breast form.